An Ice Solid Platforming Adventure Awaits U! The gameplay in FreezeMe is relatively straightforward you must collect Golden Cubes to beat levels and you can collect Green Pig Coins for doing side quests in the various levels. Some side quests are only available in certain levels and there are also several hidden Salamanders to find which unlock neat features post-game! 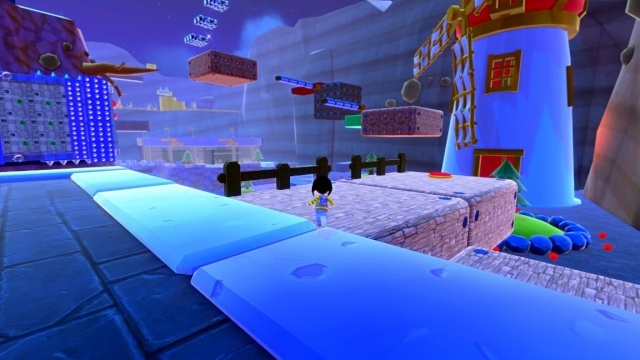 There are also six challenge stages on top of the four main worlds in the game as well as 40 individual levels within the four main worlds. The game can take upwards of 30 hours to complete and admittedly even then you might not find all of the Salamanders in that time-frame as some are incredibly well-hidden! The freezing mechanic is the most unique element in the game and is used to hold bosses in place, use enemies as platforms to reach higher areas, and to freeze certain moving objects such as lifts, rotating platforms, etc. The camera can be somewhat clunky, but it's no worse than that of the typical 90's era 3D platformer. 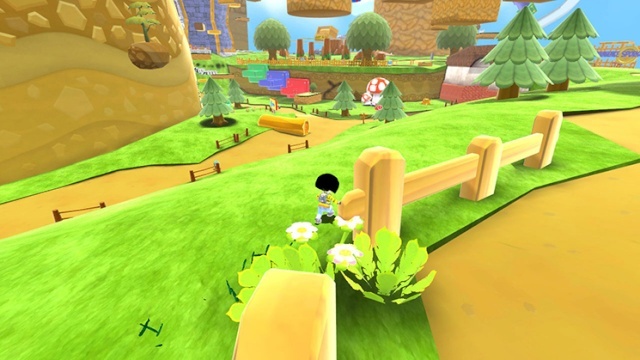 The game also features anti-gravity sections and planetoids in each of the four main worlds that add a serious Super Mario Galaxy feel to the gameplay formula. The controls are somewhat floaty and could be better, but they're still leagues better than most 90's era 3D platformers so it's not a huge issue. The co-op mode feels very reminiscent of the co-star feature in Super Mario Galaxy 1 & 2 and is a great feature that is extremely fun! The visuals in the game are fantastic and look like they belong in a AAA Gamecube title! The character models are excellent, the worlds are massive and detailed, and the level designs are absolutely breathtaking! In-terms of audio the sound effects are typical fare for a 3D platformer, however FreezeMe's soundtrack is truly exceptional and fits the game like a glove! Now for the bad, FreezeMe has several annoying bugs that seem to occur when using certain external hard-drives. 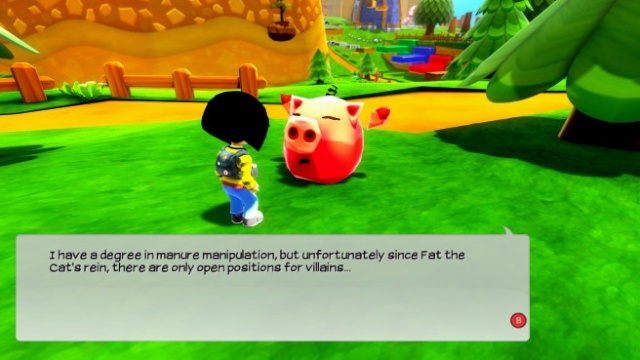 One causes all of the buttons except the movement stick on the controller to stop working for the first 10-20 seconds of a level from time to time, and the other causes the controllers to be swapped during co-op which can be seriously annoying, thankfully these only occur when using certain hard-drives so if this happens move the game to your Wii U's internal memory to solve the issue! 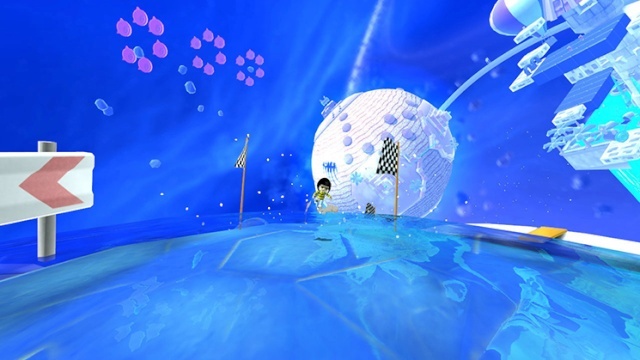 With fantastic gameplay and loads of content as well as a breathtaking audio-visual presentation FreezeMe is an excellent platformer that will remind players of 3D platformers of yesteryear, however this also comes with the typical clunkiness of the controls and cameras from games back then, but overall the game is absolutely incredible! The bugs, however seriously hamper the game, but are thankfully not gamebreaking by any means so we give FreezeMe for the Wii U eShop a great level of recommendation! This game is good and your review seems to be fair in explaining the issues the game has. Nice review! I need to download this before the price increases, nice review as always rukia! This is such a wonderful game! @Zatchbell wrote: I need to download this before the price increases, nice review as always rukia! @Zatchbell when does the price increase? Great review dude! @ARF_Paula the discount promotion ended on Thursday. I'm so surprised that FreezeMe was developed by just one person. Thanks for the review. I'm really interested in trying this out if I can ever get through some more of my backlog. @bro2dragons Thanks for the comment.